Dennis Jack Matti Nojonen passed away suddenly and unexpectedly with Michele, his wife of 34 years by his side on Saturday, March 24, 2018 at the age of 55. He is also survived by his son Ryan (Andrea Thumm) and their soon to be born child; daughter Rachel (Paul Johnson) and her children Travis and Kohen; daughter Shelly (Stefan McKee); precious fur babies Rox, Molly, Lily and Roscoe; his mother Nancy Nojonen; sister Debbie Doyle (Jim) and her son Matthew (Michelle) Moffat and their son Lucas; sister Wendy Bisignano (Pio) and their children Dylan and Jennifer; parents-in- law William and Fleurette Bruni as well as his extended family, many dear friends and colleagues. He was predeceased by his father Matti Nojonen and his fur babies Kemo, Fritz, Meko and Wile. Dennis was born on May 10, 1962 in Port Arthur, Ontario. He grew up the only son and middle child of Matti and Nancy Nojonen. Along with his sisters, Debbie and Wendy, fishing and camping were a big part of his younger years, especially at Paul Lake where he helped build the sauna and the camp itself. In grade 8 he was first exposed to woodworking, then he entered into a trades program at Gron Morgan High School but instead received an apprenticeship in cabinet making at Rizzos Cabinet Shop. From there he went into Trade School to further his carpentry career at Confederation College. He became a member of the Carpenter and Joiners Union, Local 1669, and started to work on numerous projects in and around Thunder Bay. In 1983, during his 3rd year apprenticeship, he met the love of his life, Michele Bruni, and two years later they became husband and wife. After he obtained his journeyman carpentry ticket, they relocated to St. Catherines, Ontario, where they became parents to their first child Ryan in 1988. During their first year as parents, Dennis was also able to obtain his interprovincial Red Seal ticket and a year later they moved to Langley. This is where they welcomed their second and third children, Rachel and Shelly. After gaining much experience working the trade, which now consisted of residential, industrial and commercial construction, they made the decision to move to the beautiful Shuswap lake area. This is where Dennis started his own custom home building company. After the youngest of the three children entered school, they relocated again to Calgary, where Dennis continued to create dreams for many different people. But the yearn to get back to BC was there and in 2003, Dennis and Michele made the final decision to move to Kelowna, a place that immediately felt like home. 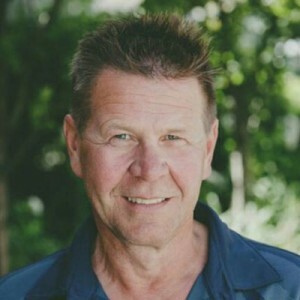 Dennis left the tools behind and started work building custom homes in Kelowna, which lead him to eventually manage the construction of a 30 unit apartment building. He dedicated the last 15 years to becoming one of the finest project managers the company would ever know. Dennis was well respected and loved by all who met him, as he always went above and beyond to make sure that everyone had the best of everything, even if that meant sacrificing his own self in the process. He had a natural ability to always bring the good out of any situation. His family has always been his number one priority. Sunday evenings the whole family would gather and catch up after everyone’s busy week. Just before Dennis’s 50th birthday, he became Papa for the first time and then 3 years later for the second time. Travis and Kohen brought a new light to Dennis. He always said there was no better gift than being called Papa. 4 years later his son had more great news as he was going to be a Papa for a third time in October of 2018. A Memorial Service will be held on Thursday March 29, 2018 at 4:00 pm at Springfield Funeral Home, 2020 Springfield Road, Kelowna, BC with Pastor Patricia Giannelia officiating. Formal dress encouraged and/or wear your golf hats! In lieu of flowers, donations may be made to the Heart & Stroke Foundation www.heartandstroke.com . The service for NOJONEN, Dennis Jack Matti is scheduled for Thursday March 29, 2018 at 4:00 pm . Below you will find the map for the service location and the contact information should you have any questions. You are in my thoughts and prayers in this difficult time. May you know the blessings of God’s peace in the midst of this sudden bereavement. Piper and I were shocked and saddened to learn of Dennis’s unexpected passing. We just wanted to express our heartfelt condolences to you and the rest of your family and to let you know that you are in our thoughts and prayers at this sad time. My deepest condolence to you Nancy and all your family at this sad time. This was a shock when I read this and want you to know my thoughts and prayers are with you all. Michelle and Family. So sorry for your loss of this great man who was many things to many people. A friend to me whom I miss and will never forget. I was able to watch the service from afar and I thank you for that. Dennis was a fun guy with a positive attitude and great sense of humour. He will be missed by many.